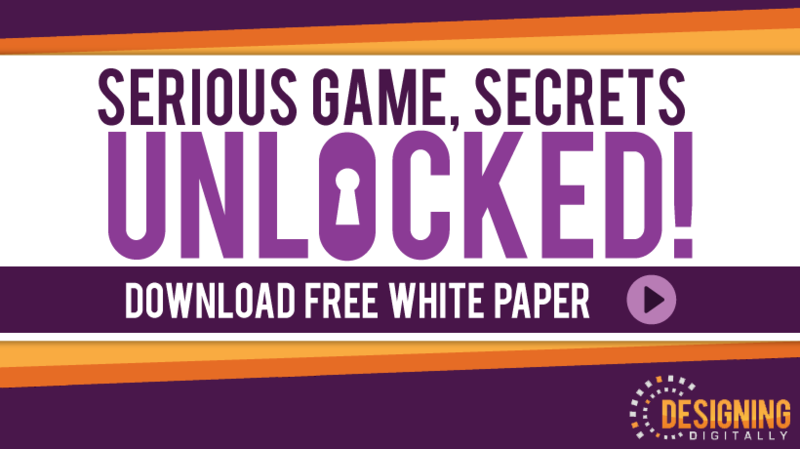 Serious Game Secrets – What, Where, How, Who Cares? Serious games are games that are designed with the intention of improving some specific characteristic of learning. They are used in areas of military training, corporate education, health care, and can be made applicable to almost every field. Is gamification an innovative game changer, or a gimmick that will fall by the wayside? When used with the right content and audience, it has great potential… but it’s not always easy to find that sweet spot. There’s a lot of discussion and debate over millennial learning needs. Do Millennials really need to be treated differently than other generations? The answer is yes – here’s why. Leading a team in a multigenerational workforce is difficult and presents obstacles to interpersonal relationships. These challenges can take the form of different life experiences, standards and expectations, and opposing ideas of what the workplace should be like. The ability to find leadership potential in current employees is one of the most important things a company can do to maintain their adaptability. A company’s future is becoming more and more dependent on the thoughts and ideas of its new employees—after all, they’ll be the ones responsible for ushering that company into the future. Interactive video is being considered the next big thing for mLearning or mobile learning solutions. It appeals to a wider audience (Millennials as well as other learner profiles) and is more engaging compared to videos. This article features 3 interactive video examples that showcase how you can improve your corporate training ROI. Since formal learning content takes up so much time, and is often hit-and-miss, what would happen if we got rid of it completely? Is it possible to have a content-free learning program? Is your workforce spread out over various offices and locations? We’ve got some tips for you when it comes to choosing training management software which will work for your distributed workforce. Siemens is one of the world’s best when it comes to corporate training. Siemens won a prestigious Brandon Hall Excellence Award, and dramatically improved employee performance across 80 offices, with a strategic skills training program and their new cloud LMS. Having isolated software that can’t talk to other systems is like the first telephone device: Cool, but useless. See, information needs to be able to move between the various tools that make your organization run smoothly, and that’s exactly the reason TalentLMS has embraced REST API. Soft skills constitute an immutable need to every company’s operations. There are certain soft skills all employees of a company are expected to have regardless of level or position, in order for the company to prosper. In this article, I’ll present the top 3 soft skills every soft skills training program should focus on and try to develop. You’ve decided that outsourcing your corporate eLearning project is the right way to go. But how can you make sure that you stay on budget and make the most of your existing online training resources? Before you seal the deal on your vendor partnership, here are 6 tips to create a realistic eLearning outsourcing budget. 3 of the market prime, interactive video-development tool providers explain us why interactive video is such an important tool in today’s eLearning. There are practical (and impractical) ways technology is used every day. When designing your onboarding process, there are tools that are useful but may be inappropriate to your design. By asking yourself “will this get the job done” may be more effective than you may realize. For decades, the sales process has been envisioned as a free-flowing funnel. But is this really the best approach to online marketing? In this month’s article, I’ll discuss what research tells us about the nature of realistic training. The Associate Vice Provost (AVP) will articulate and carry out the vision for online and distance education at LSU as a seamless and fully accessible network of learning opportunities. USA Football’s E-learning/LMS specialist is responsible for working directly with the football education team to build best in class online courses. Produce dynamic, technology-enabled learning through eLearning, mobile and virtual (augmented reality) delivery formats. Act as a resource to department managers and staff to identify development needs and identify potential solutions. PulseLearning is an award-winning Global learning providers with a client list that includes many of the “who’s who” in the Technology, Finance, Retail, Hospitality, Health and Defence sectors. An easier way to gather feedback while developing eLearning courses from both team members and SME’s – guest sharing without login comes to zipBoard. LIQUID-U™ provides restaurants, beverage retailers, distributors and suppliers a new turn-key training resource to upgrade and safeguard their employees’ basic beverage knowledge – all without the cost of content or elearning platform creation. Fresh details of this year’s much anticipated OEB Global conference have been released with the pre-conference workshops now available to view online. Kate Hixson, PhD, SweetRush’s fifth Solution Architect, brings deep experience in the learning and development field, a focus on collaboration and creativity, and a passion for technology in learning to her new role at SweetRush. Join eLearning Africa 2017, the 12th International Conference on ICT for Development, Education and Training. The conference is scheduled for September 27-29, 2017. Join us for current research and theories in onboarding, best practices from some of AllenComm’s largest clients to help you improve employee retention and long-term value, and ways to effectively elevate your own onboarding program. Join AllenComm on September 27, 2017. ATD’s Core 4 Conference is a two-day event that focuses on the foundational elements that every learning and talent development professional should comprehend for success. Join us, on September 28-29 in Austin, Texas. Join Gary Underhill, Sr. Solutions Consultant for Expertus on October 5, 2017 to learn 9 ways to assure your LMS rollout has a happy ever after. The Adult Learners Need Engaging Course Design Infographic shares what affects the attention span of adult learners and how thoughtful course design can be a powerful tool in meeting the needs of how today’s learners focus best. Responsive design can improve user experience and accommodate everyone, whether they are on a desktop or a smartphone or tablet. With the gaining popularity and demand of smart phones, the need for a responsive design has now become a necessity. This is a sample of the information compiled by the Brandon Hall Group to address the growing concern of how learning and development professionals will prepare themselves for the changes they are facing in the Are Learning Leaders Prepared for Digital Learning? Infographic . Ιf you are new to the industry, or simply have not heard the name before, the ADDIE Model Infographic will get you up to speed, introducing you to the methodology and showing you how it can help you. Now more than ever, schools and universities around the world are coming to understand the value of digital evolution in education. Smart buildings and interconnected infrastructures enable people to reimagine what it means to be on a campus or in a classroom—whether they’re staff, faculty, students, or researchers. In this tutorial, I’ll show you how to create font themes in Articulate Storyline 360 (it will also work in SL 1 and 2). Once created they’ll be available for any project and you can also edit your font themes if needed. In this tutorial, I’ll show you how to create a colour theme in Storyline 360 (it will also work in SL 1 and 2). Once created they’ll be available for any project and you can also edit your colour themes if needed.